Hello! 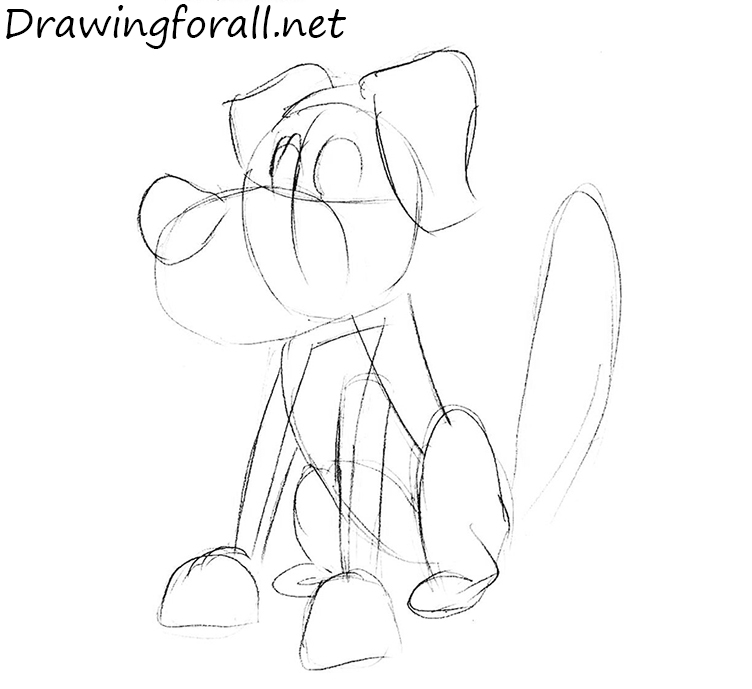 Today we’ll show you how to draw the best friend of man – a dog. Many years have passed since our ancestors domesticated the wolf or someone of his close relatives, and now the dog is not only the most popular pet (except perhaps cats) but also true, reliable assistant to serious things. 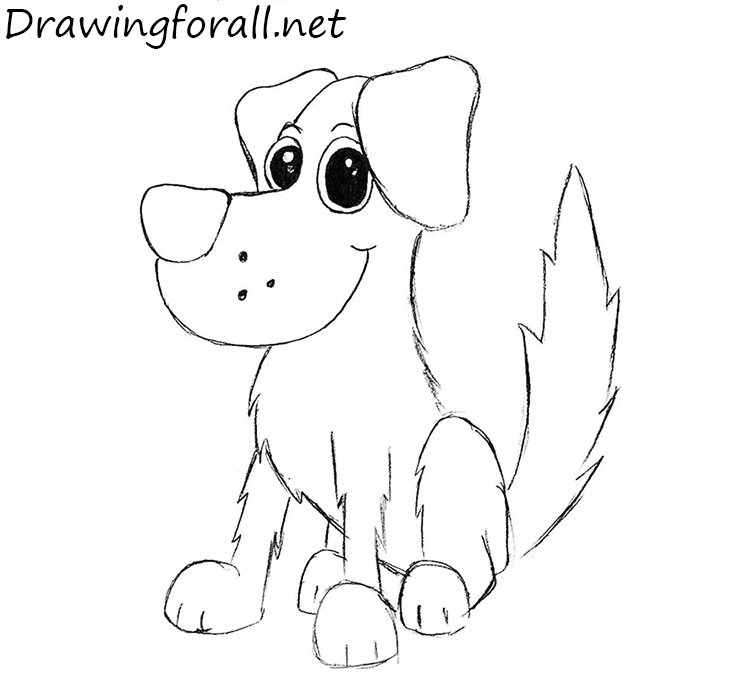 So today we will learn how to draw a dog for kids, let’s start the lesson! 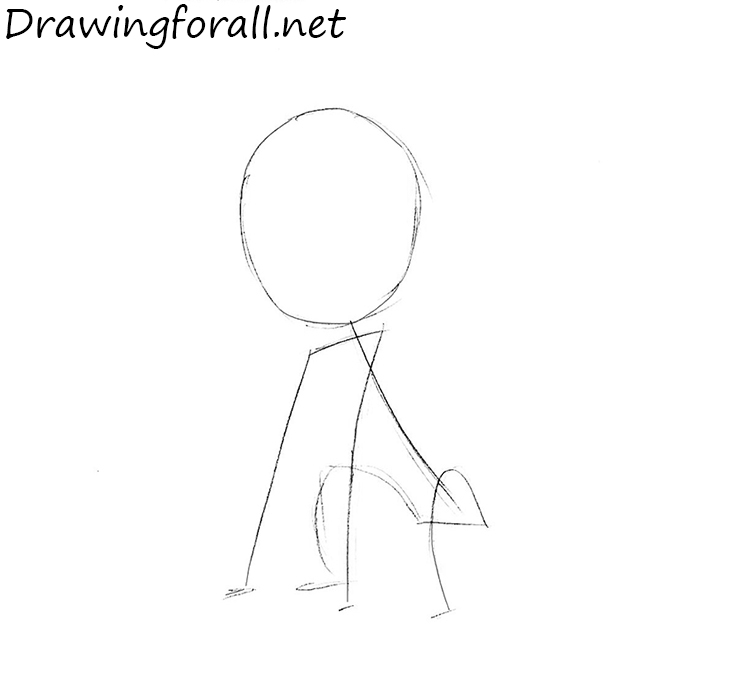 Let’s start with stickman – the figure, made of circles and sticks that we draw to indicate the proportions of the body. 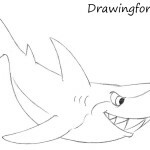 Of the features we note a very large, round head – so it is drawn in a cartoon style, that we have chosen. Mark the head of the stickman, draw a vertical line of the symmetry, and the horizontal line of the eyes. Near the intersection of these two lines draw another big oval, this time, the oval will be flattened. Next, we go down below and add volume to the body to the dog. The torso and arms of the dog in the shape of cylinders. 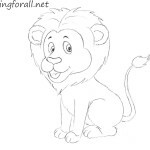 Please note – the front legs should be visually much larger than the hind legs. Now we have a very short step – according to the previously-marked lines, we draw the silhouettes of the eyes and contours of the nose and rectangular ears. Now when the silhouette of our dog is ready, it’s time to add details. We will add details from the top downward. 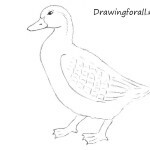 We start from the head – erase the guidelines from the previous steps, draw three dots near the nose, draw the broad smile and paint the eyes. Another one detail – draw the raised eyebrows. 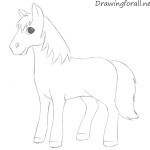 Erase the extra lines from the trunk and front paws. 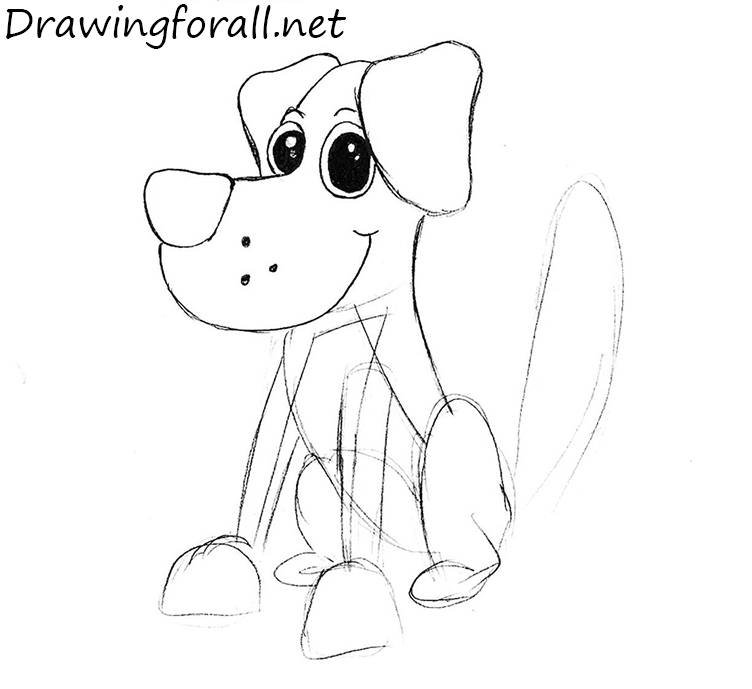 Circle the contours of the dog, using “Z” line. Draw the fingers on the paws. 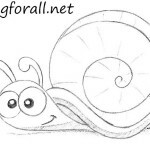 Complete the lesson and circle the lines of the tail using the “Z” line. 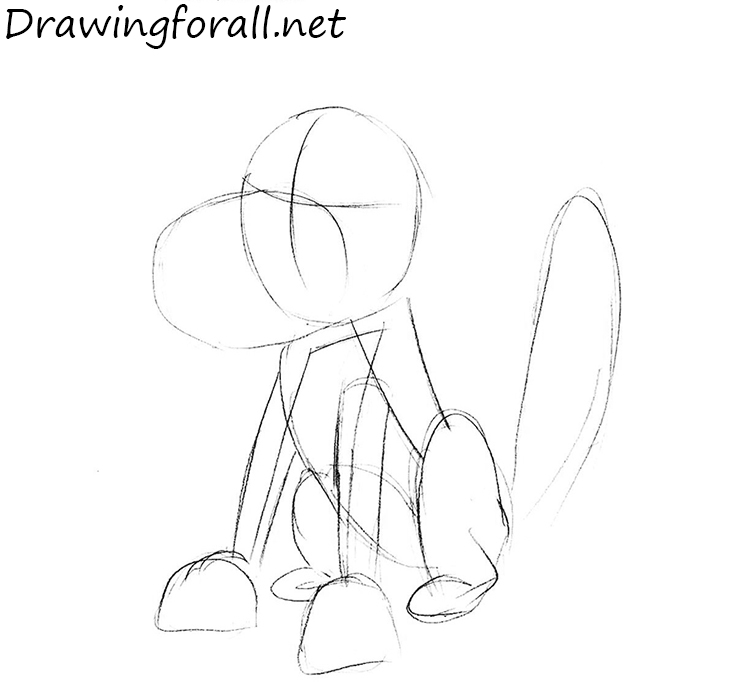 Also, draw hind paws, outlining vertical lines similar to the lines of the front paws from the previous step. 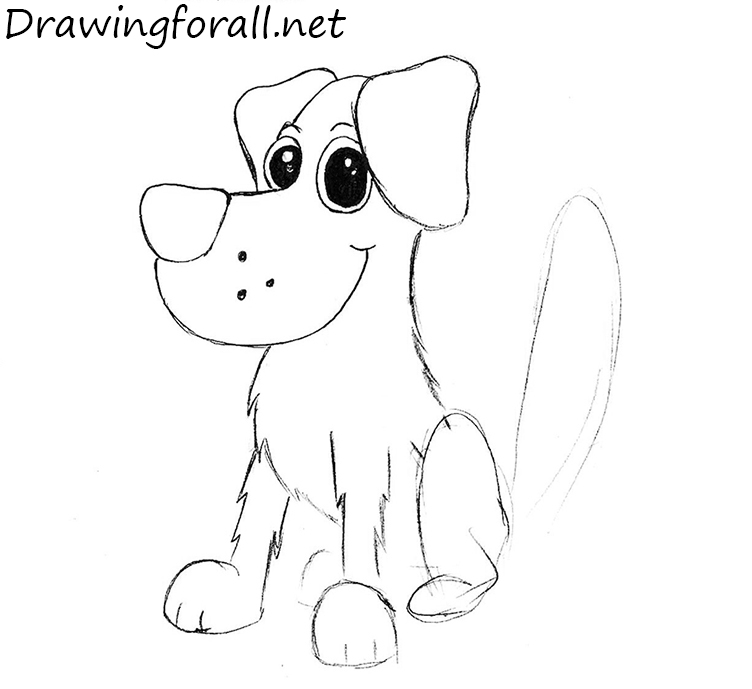 It was a lesson in which we told you about how to draw a dog for kids. The lesson is quite simple, and everybody can cope with it. 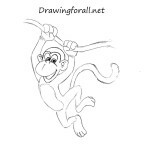 Come to Drawingforall.net for new lessons, all the best to you!